The background to the formation of the Immovable Property Commission lies in the effective partition of the island of Cyprus since 1974, when Turkey invaded the island in order to protect Turkish Cypriots from armed assaults by Greek Cypriots who were pressing for union with Greece. The partition of Cyprus initially created a refugee problem as Turkish Cypriots moved to the north, and Greek Cypriots moved to the south. Both communities abandoned land and property as a result of the conflict. The Greek Cypriot cause was given a boost in 2004, when Cyprus joined the European Union. This was a contentious decision as the EU recognised the Greek Cypriot administration of South Cyprus as the sole legitimate government of the entire island. The Turkish Cypriot administration of North Cyprus was denied any official recognition. There were several high profile cases where dispossessed Greek Cypriots who had lost land in the north applied to the European Court of Human Rights for compensation. The ECHR made rulings in favour of several applicants, including Myra Xenides-Arestis in 2006 and the landmark case of Titina Loizidou in 1996. The formation of the Immovable Property Commission was a response by the North Cyprus administration to the plight of dispossessed Greek Cypriots. The Commission accepted applications from Greek Cypriots who had lost land in North Cyprus after the partition of the island in 1974. The aim was to make available a local solution to the problem, and avoid the costs of defending claims in the European Court of Human Rights and also to stop the adverse publicity and financial cost of awards made by the Court to Greek Cypriots. The activities of the Immovable Property Commission has been judged a success by both Turkey and the North Cyprus administration. This is because the European Court of Human Rights ruled in 2010 that the Commission provided an effective domestic remedy. This ruling was made in the Takis Demopoulos case. The ruling effectively placed in limbo a large number of applications which were pending at the European Court of Human Rights. The outcome meant that all dispossessed Greek Cypriots would be required to make application to the Property Commission rather than the European Court of Human Rights. The ruling was not welcomed by the Greek Cypriot government as it conferred a degree of international recognition on the Turkish Cypriot administration of North Cyprus and the Immovable Property Commission. Greek Cypriot politicians have, on the whole, advised Greek Cypriots against making applications to the Property Commission and, by implication, recognising the authority of the Property Commission to adjudicate on land claims in North Cyprus. According to the Property Commission website, a total of 1,296 applications have been filed with the commission. Some 250 cases have been dealt with and decisions made. Of those, 68 applications were revoked and two rejected. Therefore, some 168 applications have been succesful, and compensation has been granted in return for giving up their property rights in the north. The Property Commission has to date awarded around GBP63 million Pounds Sterling to applicants. The last chance for applications to the Immovable Property Commission has been set for 21 December 2011. Now that the final date for applications to the Property Commission draws near, Greek Cypriots, or their parents, who abandoned property and land in North Cyprus in 1974, face a difficult choice. 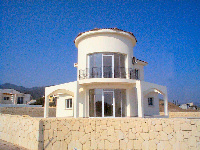 If they apply for compensation from the Property Commission, they may receive a payment for the lost land, but could incur sanctions from the Greek Cypriot government. Alternatively, they can await a political settlement to the problem of the divided island. However, as the two sides have been in acrimonious negotiations concerning a united island of Cyprus for over 30 years, one cannot expect that a settlement will be reached in the near future. 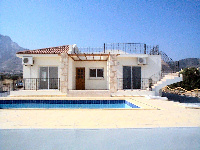 Therefore, it is likely that there will be a rush of applications to the North Cyprus Property Commission before 21 December 2011. This is likely to be the last chance for applications.